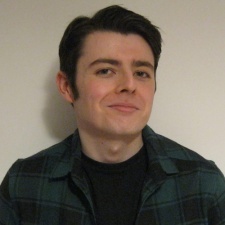 We’re delighted to announce that rising games journalism star Matthew Forde has joined the PocketGamer.biz team as a staff writer. Forde was previously working full-time in freelance and has written news, previews, reviews and features for numerous sites from Nintendo Life and Tech Radar to Push Square and PlayStation LifeStyle. At PocketGamer.biz he’ll be writing up the biggest news and chasing key interviews to keep our readers informed of the latest trends and big stories. He’ll also support our various events as the Steel Media team gets ready to bring our popular Pocket Gamer Connects events to Seattle (May 13th to 14th), Hong Kong (July), Helsinki (September) and Jordan (November). Forde joins fellow staff writer Natalie Clayton, contributing editor Jon Jordan and senior editor Craig Chapple on the PocketGamer.biz team. There's also the wider B2B team at InfluencerUpdate.biz, PCGamesInsider.biz and BlockchainGamer.biz. If you want to get in touch with Matthew, send press releases and/or interview opportunities, drop him an email at matthew.forde@steelmedianetwork.com. "Matthew is enthusiastic and talented. It's a great pleasure to welcome him into our team," said Steel Media COO Dave Bradley. "The mobile scene continues to be the most exciting part of the games business, worth about half of this $134.9 billion industry. PocketGamer.biz is at the forefront of reporting on that world. Following a record-breaking Pocket Gamer Connects in London last month, PocketGamer.biz has a busy 12 months ahead of it with more international conferences than ever, in new territories like Hong Kong and Jordan. “Matthew is already well known as a games journalist and we're looking forward to seeing his words on our growing B2B sites."